Quality, expertise, responsiveness, reliability, and perfection: These are all elements one looks for when purchasing or selling a new or pre-owned aircraft and we make them our priority. Whether for biz-liners, heavy, mid-size or light jets, turboprops and helicopters, each and every transaction is efficiently managed to ensure complete satisfaction. We perform a visual inspection of the airframe and the cabin, a logbook review to recall the history of the aircraft meanwhile highlighting any aspects that may increase or decrease its market value. We take care of all aspects of advertising and marketing the aircraft, including presentations to potential clients, price negotiation, offers to purchase, and opening of the escrow account. We work with five legal offices located in the United States, Switzerland, and France, all of which specialize particularly in business aviation. With such a level of expertise in the legality of this specific market, we ensure absolute efficiency in every element of the legal process. We organize and supervise of the pre-purchase inspection to protect the asset of our clients and to be sure the aircraft meets all technical standards. We manage the organization of the closing, de-registration, certification, export/import tax related issues, and any other administrative task relating to the transaction. Thank you very much for your kind note, indeed highly appreciate. From my side I would like to thank you and our team for all your efforts and professionalism. It was truly a pleasure to work with? industry experts like yourself. This was surly not the last transaction we will handle together! Kind regards to all! "I am writing this message to express what a great pleasure it has been working with the Boutsen Aviation people on the late Citation CJ ... It sure has been a very pleasurable experience. 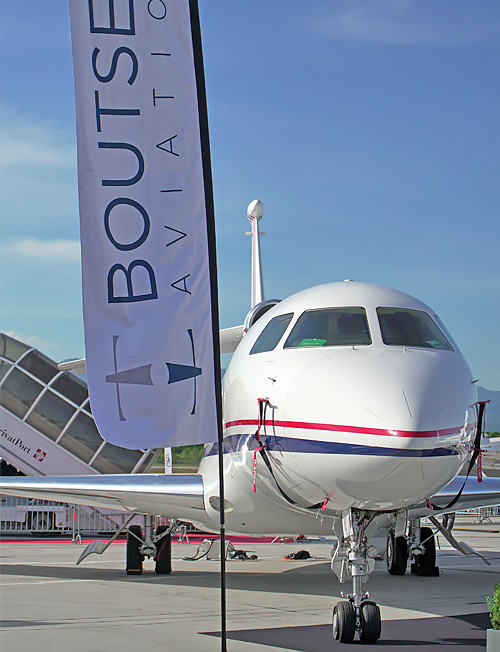 Boutsen Aviation is one of the most professional aviation specialists I have so far come to know. They are not only technically very well equipped, but also have the business ethic and market knowledge. They have always been very attentive and responsive throughout the transaction." Merci beaucoup pour ton message et j'espere pouvoir travailler avec Boutsen le plus rapidement possible. Boutsen, le meilleur Broker de la planete !" It was a privilege and honour to work with you. Great teamwork." "It was a difficult deal, but wonderful to work with such a world class broker." "Hi Dominique, I just now had time to read your appraisal carefully. It's very impressive and professional. Looking forward to meet you tomorrow. Regards"
Thanks for your note of advice. I want to Thank you for all your patience and help through this transaction, I believe it would have about impossible to do this with out your help and I appreciate all you did and lets do another soon! Best Regards"
It was a pleasure working with you and I do look forward to the next opportunity. Please keep us in mind the next time you are offered or taking in on trade an aircraft that is not airworthy and a possible part-out candidate. In other words ... a piece of crap! We're interested in anything turbine powered. Have a great week! "Congratulations! I am consistently impressed by your operation. It's like a F1 team, where every detail is focused on one clear objective. Carry on!"